It's the end of the month and quite a few things are retiring today. This means come tomorrow, February 1, they will be gone! So, place your order today! 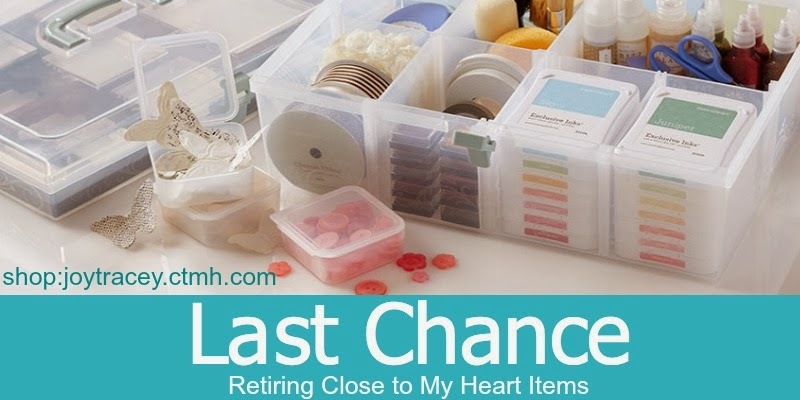 To see all the retiring items: click HERE-Close to My Heart Retiring Items. 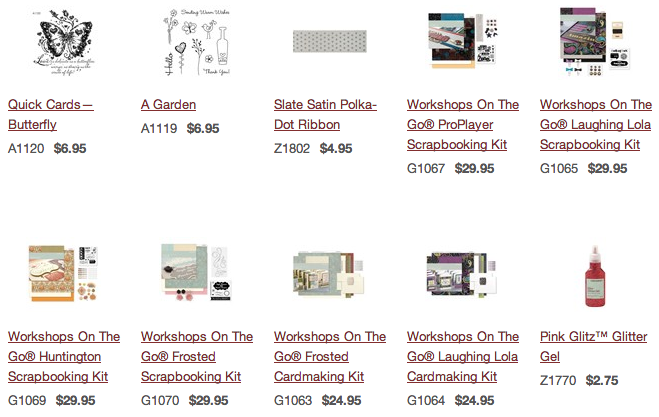 Today is the last day to order this card kit shown above! -OR join Close to My Heart as a consultant and when you get your first $300 in sales by June 30, 2014, the Cloud Nine Card kit is yours for free! 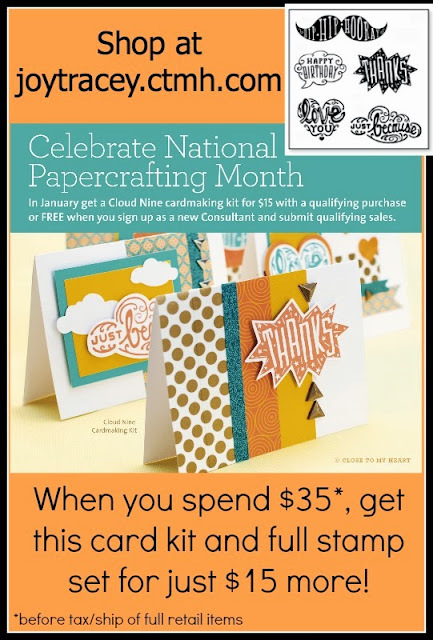 Cloud Nine Card Kit is valued at $46 and is only available until January 31, 2014. I own 6 cartridges. I have only had my Cricut a few weeks. 2 came with the Cricut (Simple Cards & Extreme Fonts). I found one on clearance at Walmart (Celebrate with a flourish). I bought 2 off Amazon (Fancy Frames and Walk in My Garden) and 1 off ebay (From My Kitchen). I have around 20-25. 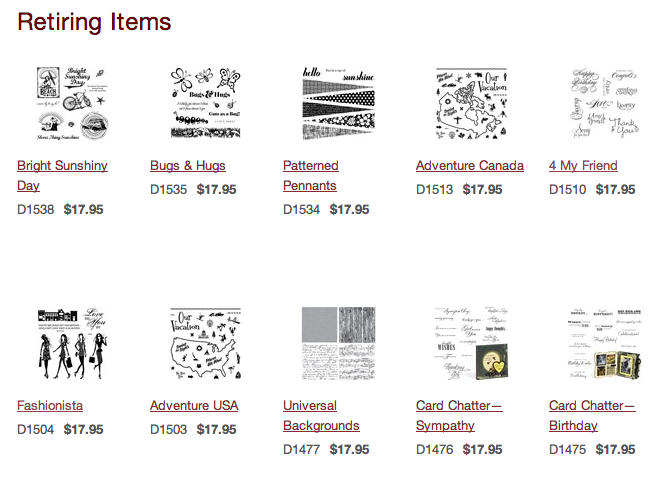 One of these days I would love to get the artbooking and artiste cartridges. I currently own about 150, give or take a few. Still love the cartridges....hope they don't give up offering them. I own about 20 -25 cricut cartridges! Would love one more. Thanks for the chance to win. I own 100+ Cricut cartridges. Had stopped buying since I have such a variety and many I've yet to even use. Bought CTMH Artiste cartridge at craft sow & used it for first time yesterday making a Valentine card that I'll post soon. 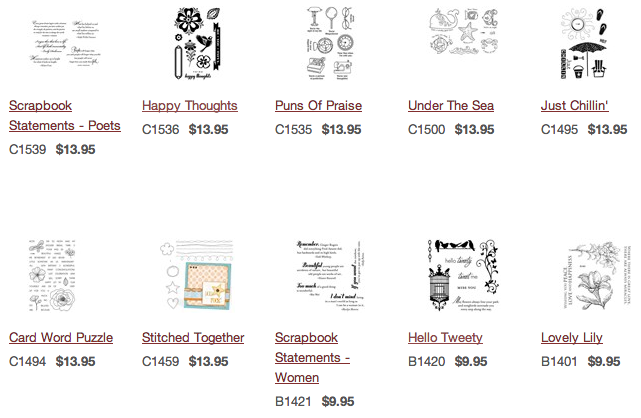 Cuttin' & Stampin' is having a Blog Hop today 1/31 & tomorrow 2/1. Please ck it out & let them know I sent you. Mary Lou, I have 31 cricut cartridges but I do have 3 cartridges from Close to my Heart. The favorite is Art Booking. I use that one the most. My husband says "Don't you have all the cartridges?" I say "Nooo, not even half of them but a bunch." Garden Soup is one I do not have. Thanks for the chance to win it. I have a bunch of cartridges, including both the regular carts and Imagine carts. However, I DON"T have "Garden Soup"!!! But I'd love to be the owner of that cart! Thanks so much for the chance to win! Here's a shocker. I don't have Garden Soup. Such cute images. Would love to win it! I'm about to place my order with you, Joy. I also own a 'bunch' of cartridges! Again, thank you for the opportunity to win! A bunch plus more! I would hate to count but I don't have this one! I own 55 Cricut Cartridges. I think I'll have to go with a bunch! I don't really know, but I know it's not as much as many of you! A bunch as well - a small bookcase full - and I am excited they have a new machine but I also love my E2 so that will stay for now -- I am afraid they will become obsolete and I hope that Cricut doesn't push us out -the original supporters since they began. I probably only own about 30 cartridges. It's enough to keep me busy, but there are still so many I'd like to have! Luckily, I do have Art Philosophy. I love, love, love that one! Thanks for the chance to win the cute cartridge you're giving away this week. I also have "a bunch" of Cricut cartridges. I don't have Garden Soup, and looking at the images you provided, I'm not sure why I never bought this one. I love the 3-D boxes! Thanks for the chance to win. I have a few... around 15-20...not nearly as much as I see some people have. I saw one person post 100....wow! What an investment! Thanks for the chance to win! 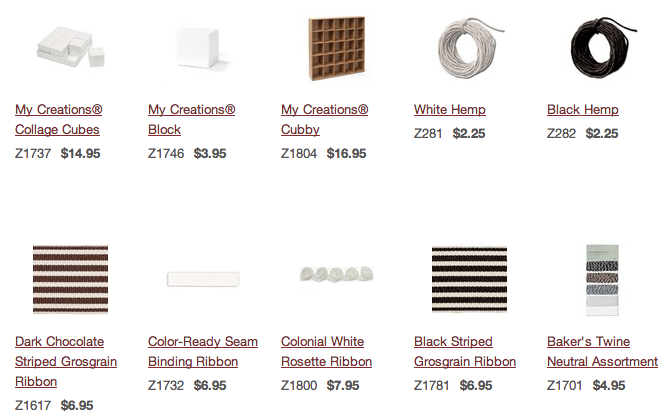 I'd love one that makes boxes and cards. I can't seem to find tags, bags, boxes and more anymore. I should have gotten that one before they retired it! Thanks for the chance to win and I love your blog! I have 34+ but do not have this one. I need it. I think it's a bunch but I always seem to need some cuts from ones I don't own. Look forward to seeing what you come up with each day, so inspiring! This would be a great cartridge to win! 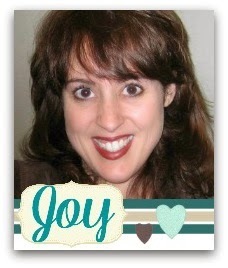 Thanks, Joy for the chance. I have about 80 cartridges. I recently sold 10 of them and will be selling more in the near future. I have decided to only keep the ones I really use. New Year's resolution is to clean out my craft room this year! The 3 CTMH cartridges will never be sold! They truly are my all time favorites. I have 20 and love them all! I don't have Garden Soup but I would love to have it. I love my Cricut and I love your videos showing how to do different things. lol I have a bunch too lol! I have about 180 or so - but I do not have Garden Soup! So glad I have a Gypsy! I have no clue how many carts I own. They got packed away along with my Cricut and are in Arizona where we have been trying to move to for years already. It will be like Christmas when I finally get to really use my Cricut. I have more than 10 but I'm not sure how many all together. I also downloaded some digitals. I have 115, but not Garden Soup! I love all your videos on youtube and your blog! Truly an inspiration! I own a bunch, too! Most of them are on my Gypsy, though, so it's not quite so easy to count. Well I don't own as many as I would like, but I have about 8. I'm still learning how to use my Cricut. Thanks. I have somewhere between 90-100 cartridges if you include the Imagine Cartridges. Thanks for the giveaway, I don't have the Garden Soup!! Around 70, I guess that qualifies as a bunch. I don't own a single cartridge! My recently passed away best friend and scrap partner has a bunch and I bought a jukebox so I could go to her house and grab up to six at a time to borrow. Her hubby still lets me share her stuff because that is how we always did things! She used my supplies whenever and visa versa. I need a new Scrapin' buddy! Thanks for the great giveaways!!! I really don't own that many cartridges but my husband thinks so ... he walked by them the other day and said, oh my gosh, that's a minimum $20 each setting on that shelf, lol. Thanks for the giveaway and all your tips and tricks. Thanks to you, I figured out how to use the "Just Because" Cards cartridge. I have been collecting them since they came out so I do have a ton of them, but I don't have Garden Soup. That would be a fun addition! Love the cartridge! Thanks for the great giveaway! Hi, I like the Garden Soup Cartridge!!! It has some of the adorable and cute images on this cartridge. I wish that they wouldn't retired any of the cartridges and specialy the Imagine cartridges because I love mind. I hope that you will have a great weekend and stay warm from all this great winter days. Love your videos would love to have garden soup cart! Looks like a cute one! I have a bunch...have been cruising ebay and other sites for a few that I still want but a lot of them arel retired. So guess I will have to start going digital.... 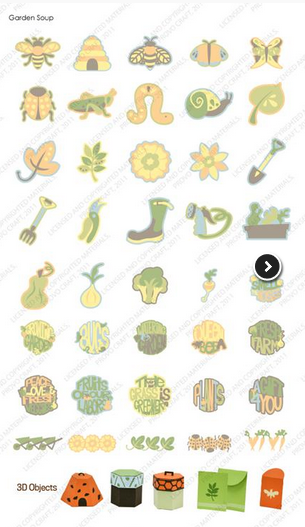 I don't have Garden Soup, tho and would love to add it to my collection! 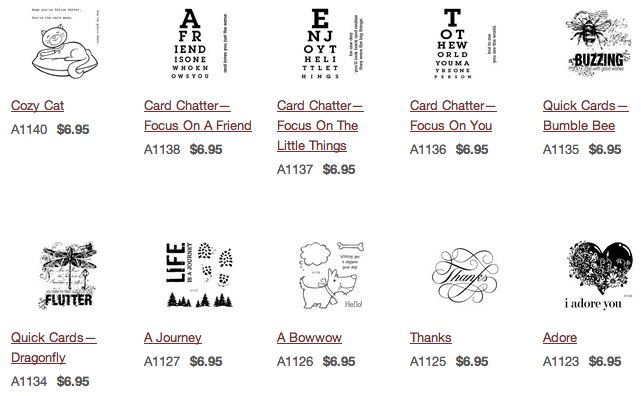 I put my cricut away for a while and now am subscribing to your sight again. Love your site. Thank you for the opportunity to be a winner in your giveaway. I have lots and lots of cartridges, but not enough time to use them...hubby says I have too many. I'm about to check out the new Close to My Heart catalog. 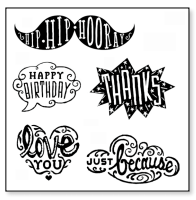 I can use for scrapbooking or cards. My daughter and I checked out the new catalogue on Sat. morning. It is awesome! First thing that came to mind when I saw this stamp set is "What DoesThe Fox Say". I love your ideas that you share.